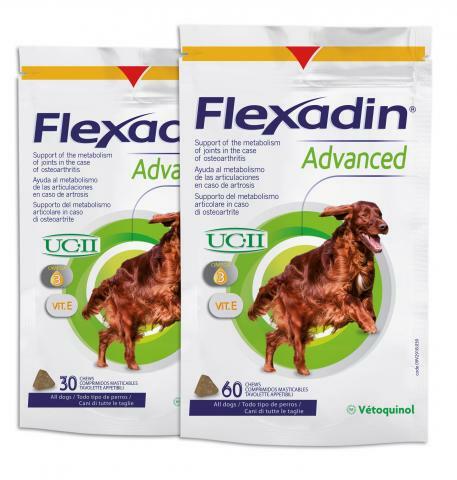 Flexadin Advanced Chews are delicious, palatable chews formulated to support joint health and function. Ideal for older canines with Osteoarthritis which is a progressive, degenerative, multifactorial joint disease and one of the leading causes of discomfort in older dogs. Oat flour, rye flour, brewer's yeast, oat meal, water, glycerin, chicken liver, gum arabic, soy lecithin, citrus pectin, maltodextrin, calcium alginate, sorbic acid, propionic acid, mixed tocopherols. Administer 1 Flexadin Advanced chew daily. May be given directly to the dog or in its food. Below are some recent questions we've received regarding Flexadin Advanced Chews, including answers from our team. I would hope that you would see some improvement within a month. Even if you do not notice a massive difference these products are designed to protect the joints and slow down further deterioration long term. I wonder if you could clarify that this product can be safely fed alongside Yumove Joint Supplement for Dogs? It should be perfectly safe to do this although I would advise consulting your vet just to make sure. It's unlikely your dog will overdose on any of the ingredients although it is still best to check. A very interesting question. 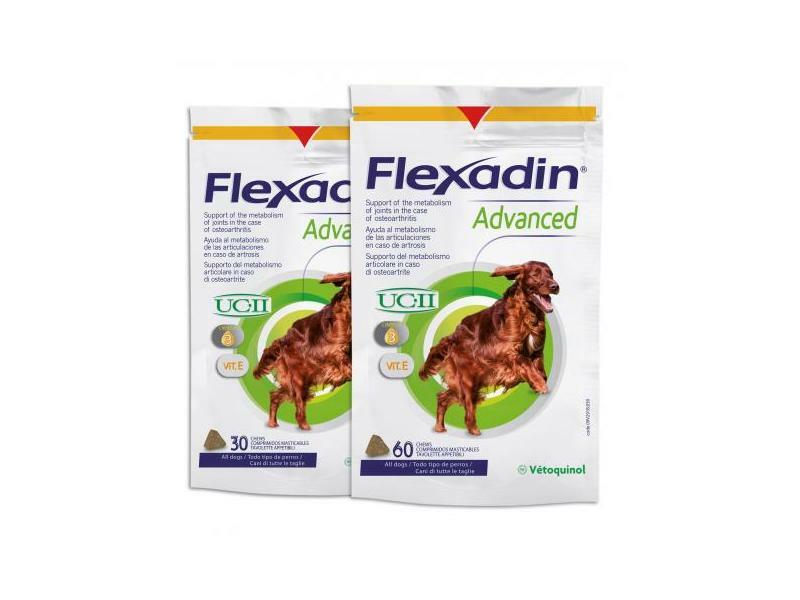 The key ingredient of Flexadin Advanced is an undenatured type 2 collagen. It acts to modulate the bodies own immune response via lymphoid nodules in the small intestine to reduce the inflammation in the joints. A given amount is required to trigger the response and is the same in every dog regardless of weight. People are reporting very good results with this product.